This November I went to Saint Louis, Missouri again. I attended the 18th ANNIE conference. That conference gathers a lot of people from all over the world, and most of them work in smart and intelligent system. My research is in machine learning and data-mining. In that conference I met someone works in clustering and someone works in friend linking relationship. There are a lot of different applications for machine learning. Because this is my second time to go there, I didn’t feel nervous as last year. I presented very confidently. After my presentation, some people asked me some questions. A person asked why I didn’t try to use Genetic Algorithm to improve the feature selection. Another person asked me why not include Principal Component Analysis. When I finished my presentation and turned the speech to the next presenter, a lot of people just left. Maybe I should attend other conferences to see different faces. Some presenters didn’t show up. I think it’s not good for the conference host to publish their papers, but the authors paid nothing. 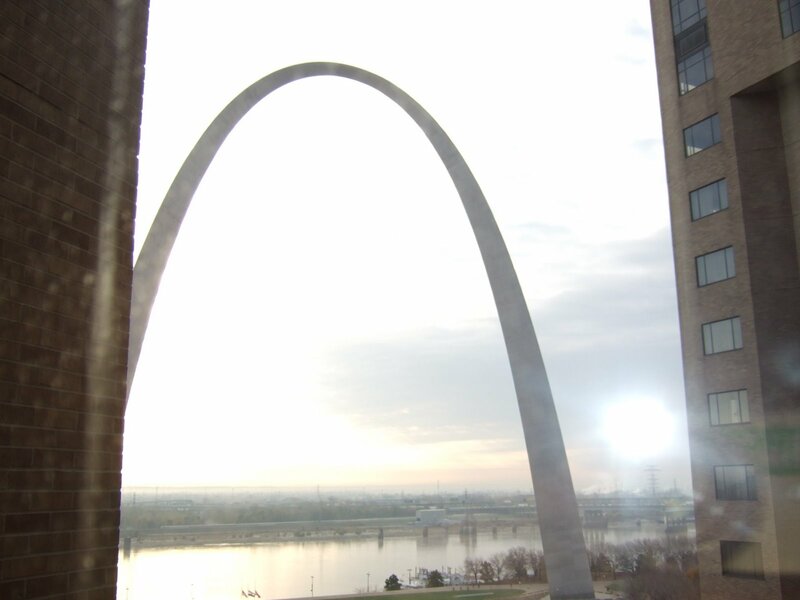 This time I lived in Hyatt hotel, I could see the big arch from my window. I booked the hotel in priceline 3 days before I left for Saint Louis. I was a little worried about the safety and my car. Hopefully, everything went really well. On November 4th, next U.S. president was elected. Before the final result came out, a lot of polls showed this trend. 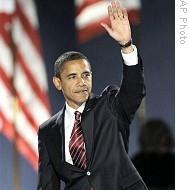 Looking at the history of U.S., the first black president is going to lead America. Someone also questioned his experience, because he is too young. Traditionally, U.S. is a conservative country. Due to a lot of complaints and misconduct of present government, this time change is coming. U.S. is a multi-cultural country, there are so many immigrants from different parts of the world. You cannot make everyone happy. Besides dealing with multi-cultural issue, the big problem is economy. I have to say the recession of economy is a global problem, but how he can handle this problem properly is a big challenge. He needs to solve his own country’s economic problem first, and then see if he can change the recession of world economy. The direction that U.S. goes will affect the whole world dramatically. A good example is that Lehmann Brothers and AIG affect their branches all over the world. I believe it takes longer time to recover from the economy crisis. This year’s Halloween is on Friday. There are a lot of different activities happening here. In my apartment, the leasing office holds an event to give prize to the one who wears the most special costume. They also give the price to the pet which has the most special costume. I didn’t join the activity, because I think I still need some time to get used to this fun. The next morning, while I went to school, I found there were still people walking along the street with special costumes. I thought they must had joined a party which lasted for the whole night. Young people usually like to drink and have fun in the party. On Friday evening, when I went home from the swimming pool, I saw some children accompanied by their parents. They knocked their neighbors’ doors and ask for trick or treat. I think this tradition is interesting. Children can get some candy in Halloween. I also heard the news that some counties in West Virginia restricted the event of ‘trick or treat’ before 8pm. I think it’s because the safety issue. When it gets darker, children might be dangerous when knocking unfamiliar neighbor’s door. People who live in the house might be approached with some naughty children who might do some harm to them. ‘Trick or treat’ is just a fun game, but the society becomes not trusting everyone. 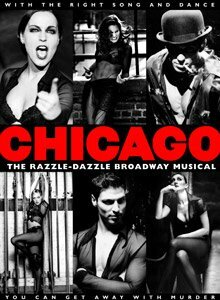 Last Friday night, I went to watch a live musical, Chicago, in Elliot Hall. Let me describe the hall first. It is the biggest performance hall in Purdue. Every semester, Purdue holds commencements there. Even if it is the biggest one in Purdue. We still need to have 5 different sets due to large number of people. I ‘ve watched Les Miserables before. In that musical, I saw a lot of different scenes and spectacular stages. Maybe it’s because it is a Broadway theater. Everything must be professional. In the musical, Chicago, I didn’t see many special stages. Overall, the story is full of black humor. A girl killed her boy friend. She used the media and the lawyer to help her gain fame and avoid the crime. In the jail, there are total 6 girls who had killed someone. The way they performed is very interesting. It combines music, song and dance. In this show, I feel that I can know more what the performers say comparing to my first experience. Wow, I just found out that SkyDrive can let you store up to 5 GB files on the website. The maximal size for each file is up to 50 MB. This tremendous outperforms than Yahoo Briefcase which lets you store totally up to 30 MB. I can put some files on SkyDrive and go anywhere as long as there is internet. The other good thing is that I can let someone edit the file and put it back. I just noticed that this service starts from May 22,2008. Hmm, gmail can also let me store for more than 6GB. Another issue is that these files are stored on the server. The employees in microsoft or google might be able to look at these files. Recently, I am working on the research of machine learning. Originally, I wrote my own code in Matlab. When we are conducting the research, we would like to know whether our proposed method is better. Someone wrote his code in C/ C++, and someone wrote his code in Java. If there is a possible way to convert between 2 codes and make the older one convertible to the newer one, it would be great. In Matlab, I found there is the builder for C++, Java and .Net. I have a feeling that the technology is quickly evolving. New programming code or new technology comes out very quickly. Weka is the open source software for data mining. I think it would be faster if I start from WEKA. In that case, I don’t need to implement some other well-known algorithms by myself. When I search some website, I found there is a small button in it, which is called RSS. I seldom pay attention to it. After doing some research, I think the function is for you to subscribe a newspaper from the Internet. I therefore give it a try. Somebody recommends TED talks and geekbrief.TV. Later on, in my google reader, I can watch several TED talks. It’s like reading your email, but the email is like TV. If you don’t like someone’s talk, you can change to the other title. It’s a little like switching TV channels on the Internet. I also found that previously I might need a media player to watch wmv files, winamp to listen to the music. Now, it’s all in one. Big companies buy a lot of good softwares from smaller companies. A good example is Adobe. In the beginning, I only know Adobe Acrobat Reader. Now there a lot of good softwares developed by Adobe, such as Adobe Connect, Illustrator, Photoshop, Flash. Things change quickly. What will be our future like? I found that there are a lot of people using blogs, and I really admire that they are willing to share their ideas. If I have something new and I am willing to share. I would post it out. Tzu-Cheng(Jason) Chuang(莊子政) Blog at WordPress.com.